Please check this SP. Does it look familiar? Easy to implement. Easy to support. Only minor problem – it never uses indexes. Never. Period. For us, who came from imperative development world, it does not look right. 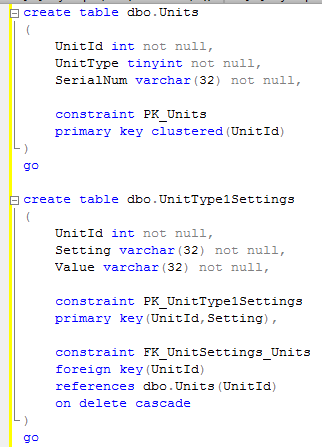 How come that SQL Server cannot do the simple optimization and determine, that parameter is not null. Well, it does not. It does not know this during the compilation stage so it would scan entire table and apply both predicates to every row. Even if first predicate needs to be checked only once. So how to deal with that? The most optimal way is to specify the list of all parameter combination. Something like that. Still requires quite a few different selects and hard to maintain. 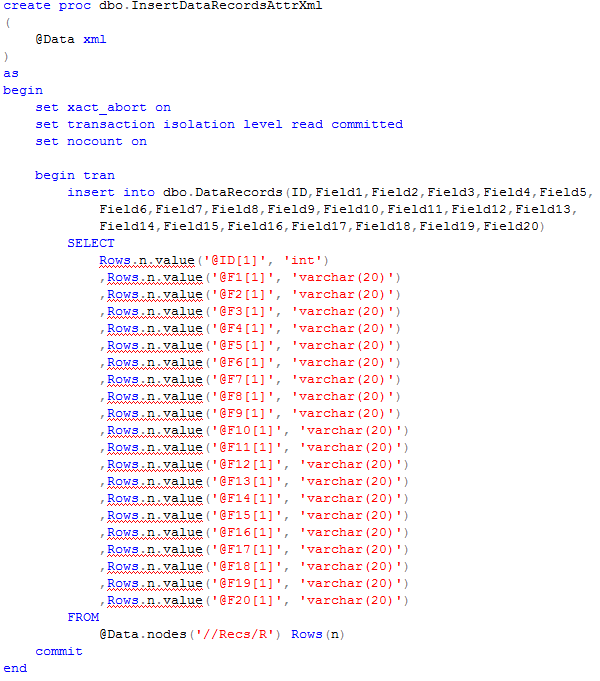 It would lead to recompilations of dynamic SQL for every SP call. Well, this is the downside of that method. Fortunately there is the good chance that plan would be in the cache especially if SP is called often enough so compilation would not be expensive. 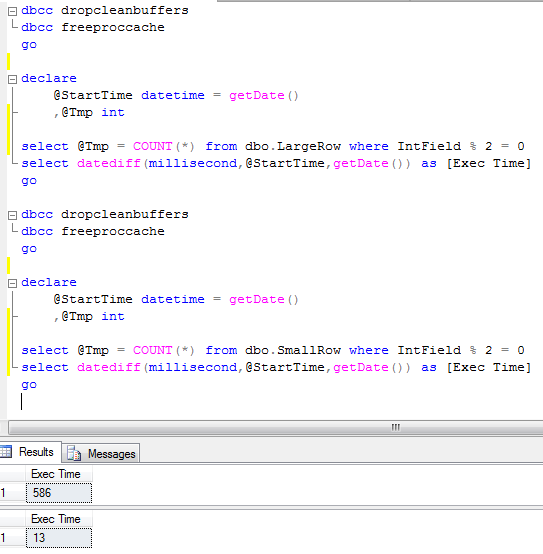 This entry was posted in T-SQL on August 29, 2010 by Dmitri Korotkevitch. We already saw that correct data types could decrease the row size. Why is it important? Well, obviously one of the reasons is the database and backup file sizes. Although this is not the only and frankly not the main reason. Unfortunately I/O is not only thing affected. RAM and Buffer Pool size are limited. More data pages need to be processed/read from disk, more “old” pages would be flushed away from the Buffer Pool. As the side note – this is one of the biggest problems with non-optimized queries. Those queries are not only slow by themselves, those are also flushing Buffer Pool with unnecessary data and compromise the system performance in general. There are 2 reliable performance counters you can see in Performance Monitor (perfmon.exe) under “SQL InstanceBuffer Manager” group: Page life expectancy – indicates how long the data page stays in cache (production value should be > 300 seconds) and Buffer cache/hit ratio – indicates % of the cases when requested data page is already in the cache (production value should be >96-97%). If you monitor those counters and see low values there, most likely the problem is non-optimized queries (assuming, of course, that you have enough RAM available for SQL Server). 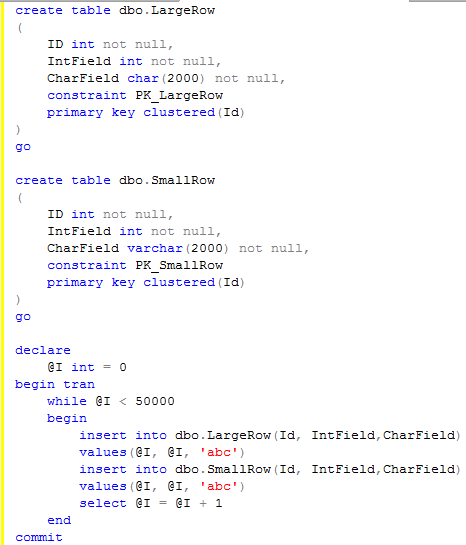 As we can see, LargeRows table uses 12,500 data pages when SmallRows uses 149. As you can see scan of SmalRows table is about 45 times faster than scan of LargeRow. Obviously we rarely scan entire table in real life. Although above is true for every partial scans. So always use appropriate data types. This entry was posted in General on August 25, 2010 by Dmitri Korotkevitch. Last Sunday I wrote about cross joins. Today I want to show another example where cross joins could be useful. As the disclaimer, this design is far from optimal. Please don’t use it in your system. Even if I’m using it only as the example, I saw similar approaches in real production systems. Obviously this is not the best implementation. Cursor, 20 separate inserts. Not even talking about the triggers in general. 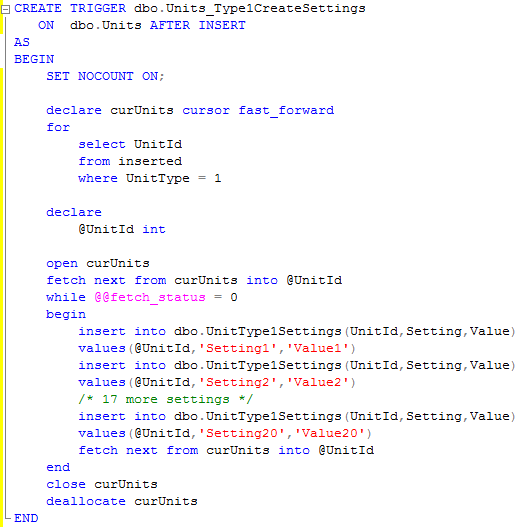 This entry was posted in T-SQL on August 22, 2010 by Dmitri Korotkevitch. What is the optimal size for variable width columns? Yesterday we had the discussion during Tampa Bay SQL Server User Group meeting regarding the size of variable width columns. 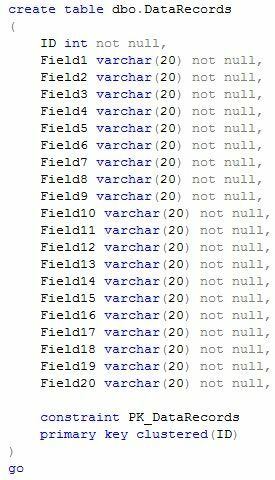 The question was if it matters how to define such columns – for example if column holds 100 characters should it be defined as varchar(100), varchar(1000) or varchar(max). The answer is not so simple. From the storage prospective it does not really matter. 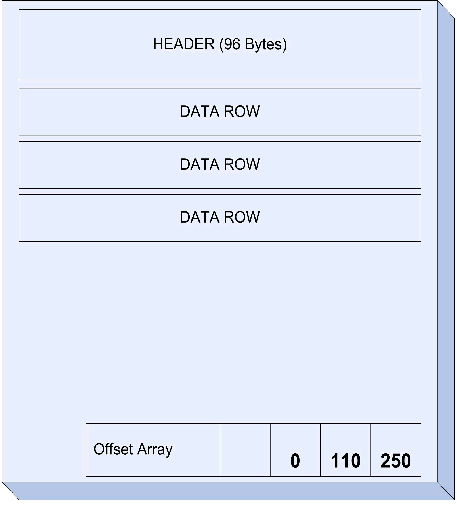 Row stores actual data size + 2 bytes in offset array. The question though is how it affects performance. When Query Optimizer generates the query plan, it needs to estimate how much memory needed for the query execution. It estimates the number of rows returned by each specific iterator (the valid statistics is the key) as well as the row size. And this is where it comes to play. 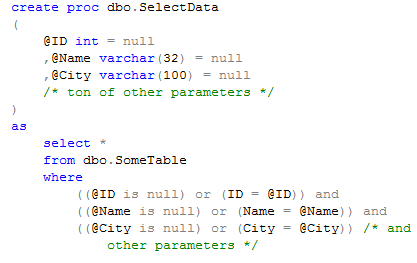 SQL Server does not know if varchar(100) column holds in average 1 character or 100 characters. 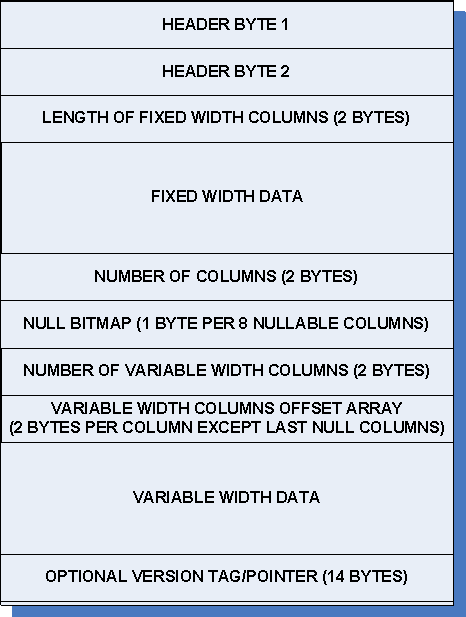 So it uses simple assumption – 50% of declared column size and 4000 bytes for (max) columns. 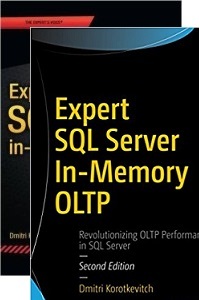 Correct estimate is especially critical for sort and hash operations – if operation cannot be done in memory, Sql Server flushes the data to tempdb and do the operations there. And this is the major performance hit. Let’s see this in action. 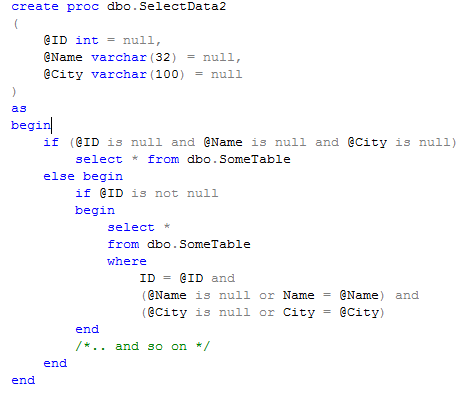 Let’s create the table with 2 varchar fields – 100 and 210 characters and populate this table with 1M rows. 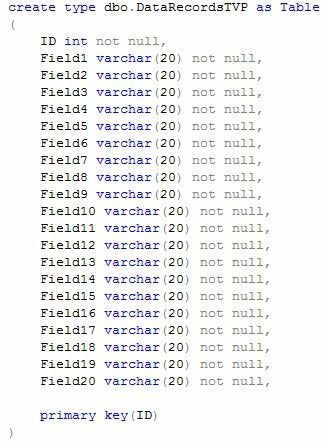 Let’s put 100 characters into both varchar fields. 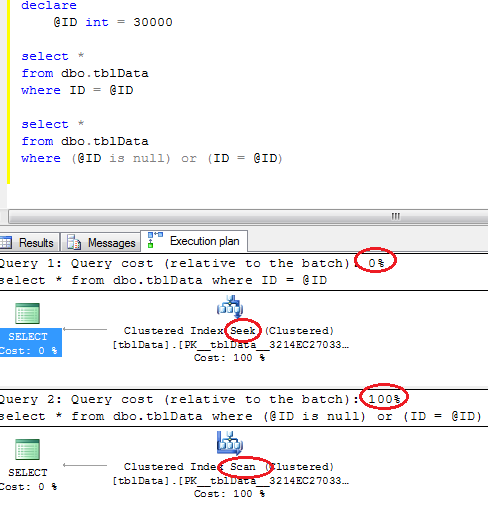 Let’s look at the Query Plan – as you see row size estimated incorrectly. Same query plan but different row size. 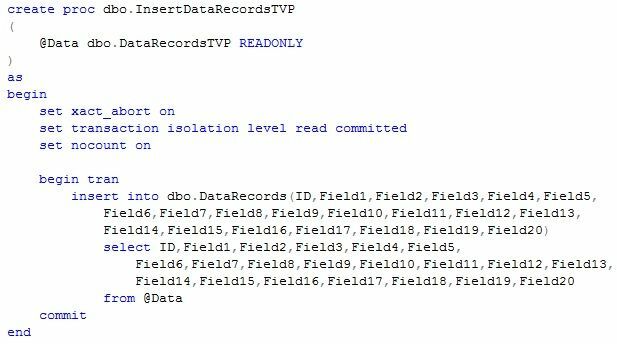 No Sort Warnings in SQL Profiler. As for the memory, this query uses 8088K. 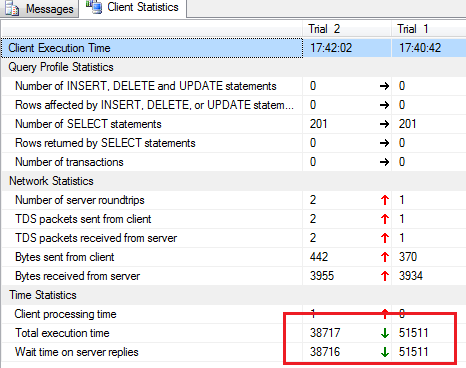 As you can see the first query is 25% slower than the second one. This is quite simple example – with complex queries the difference could be dramatic. So on one hand it looks like that it’s good idea to always define variable width columns really wide. On other hand it introduces the different problem – you don’t want to overestimate row size. It will lead to the bigger memory consumption as well as waits for the large memory grants could be longer than to the small ones. I would suggest to define those columns in about 2 times bigger than actual average data size, so row size estimate would be as accurate as possible. 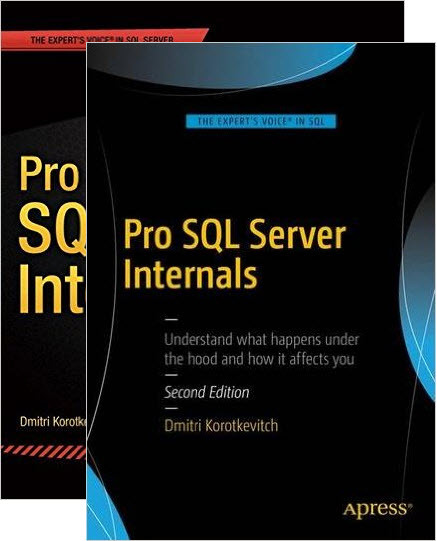 This entry was posted in General, SQL Server 2008, T-SQL on August 18, 2010 by Dmitri Korotkevitch. As we know, cross joins without WHERE clause produce the Cartesian product of the tables. So, for example, if first table has 5 rows and second table has 3 rows, result set will have 15 rows with all possible combination of the values from the both tables. 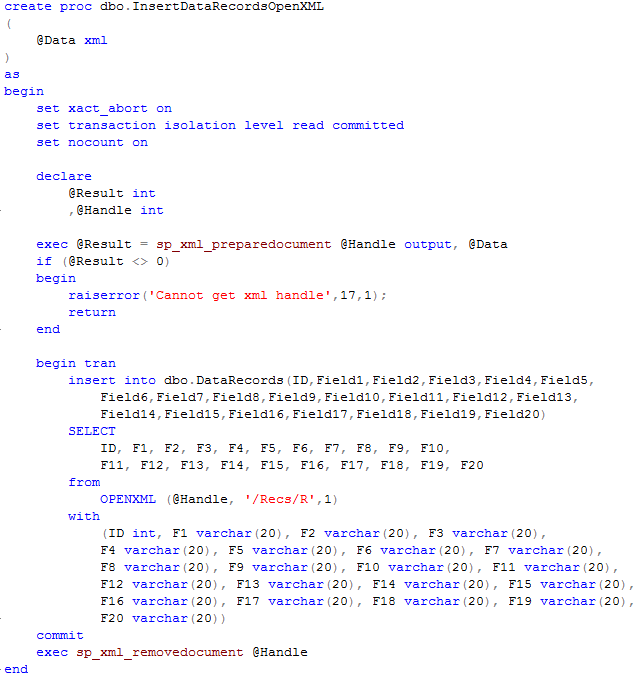 Second time it was similar task – combined information from master record and list of detail record IDS in XML format. Could be easily accomplished with the function of course. 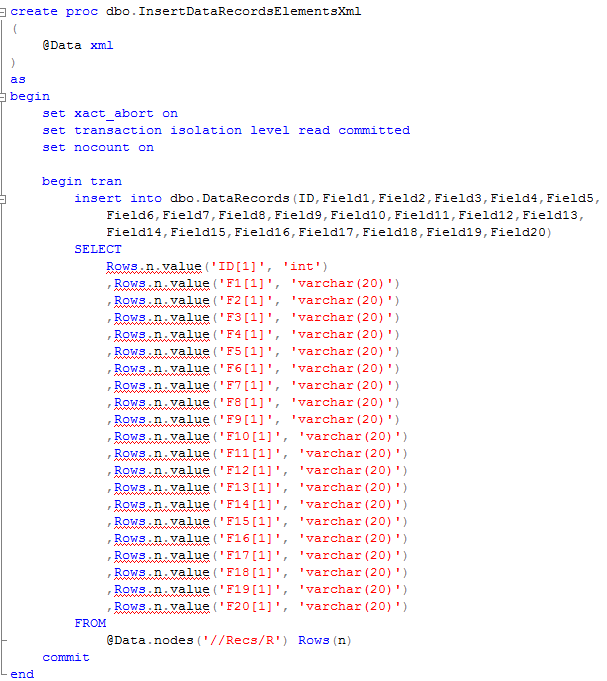 This entry was posted in T-SQL on August 15, 2010 by Dmitri Korotkevitch. Last time we saw that TVP is the clear winner in compare with separate insert calls. 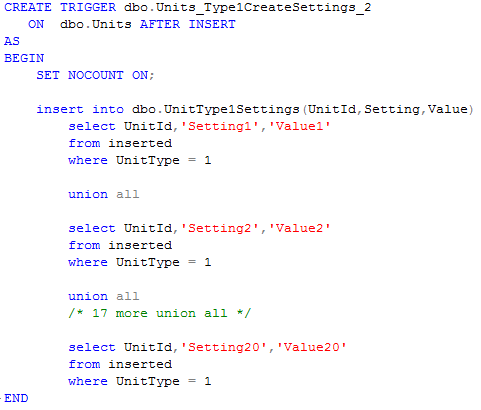 Obviously this is not an option with SQL 2005. So let’s see what can we do there. Now let’s run our tests again. For 5,000 records avg. time is about 8 seconds. For 50,000 records avg time is about 82-84 seconds. Quite surprising results. Let’s take a look at the execution plan. 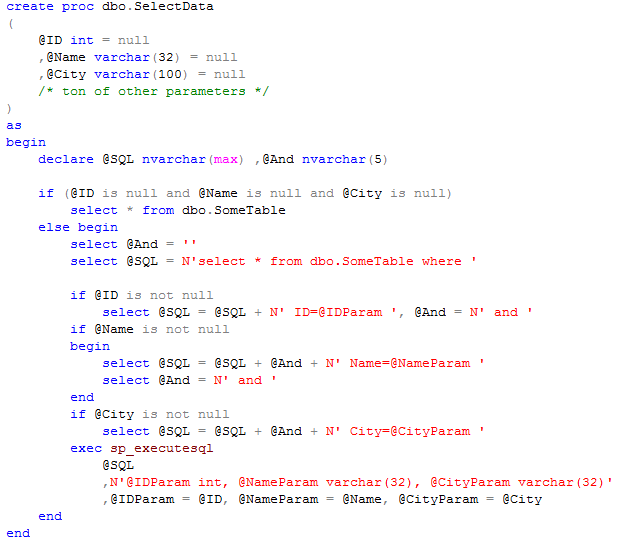 As you can see, SQL Server basically does the join for every element/column in the XML packet. Obviously – more elements/columns you have – more joins it would produce and slower performance would be. For 5,000 records avg. time is about 2,7 seconds. For 50,000 records avg time is about 27-28 seconds. Better, but still slower than classical inserts. Plan also looks slightly better, but still, it uses the same approach with joins. So as we can see, XQUERY performance greatly depends on the number of columns/joins. For 5,000 records avg. time is about 1,4 seconds. For 50,000 records avg time is about 14-15 seconds. As you can see, results are much better – even better than classical approach. Only minor problem with this approach – memory. 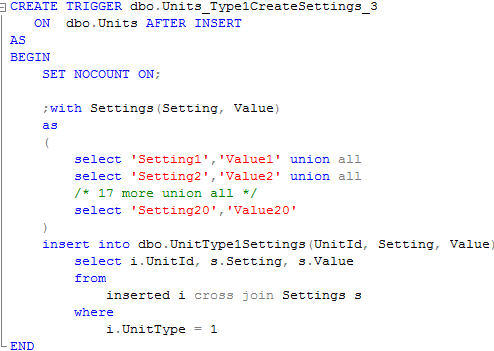 MSXML parser uses one-eights of the total memory available for SQL Server. Huh? So looks like we’re out of luck. Only option which is faster than classical inserts is OpenXML and we cannot use it unless memory is completely not an issue. Although let’s think what can be done if our main problem is not the performance but concurrency. With classical approach and multiple inserts in the one transaction, we will place first exclusive lock on the new row with the first insert. In some cases we cannot simply afford to keep locks on the rows for a few seconds. 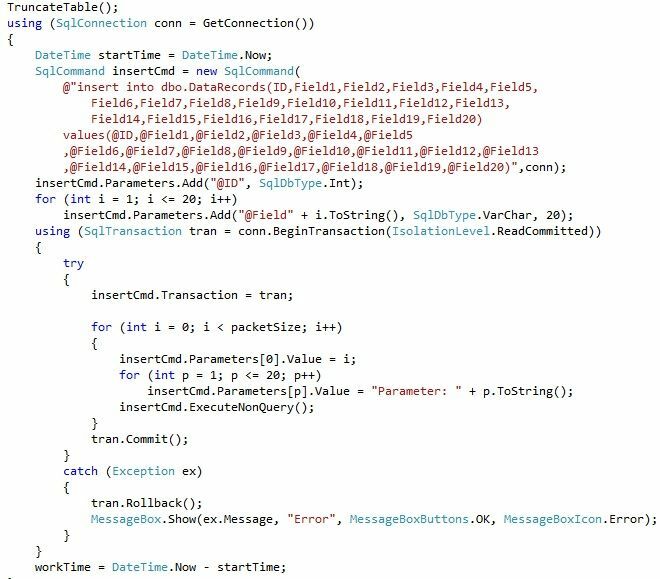 If this is the main issue, we can insert data to the temporary table first and just move it to the main table in one short transaction. 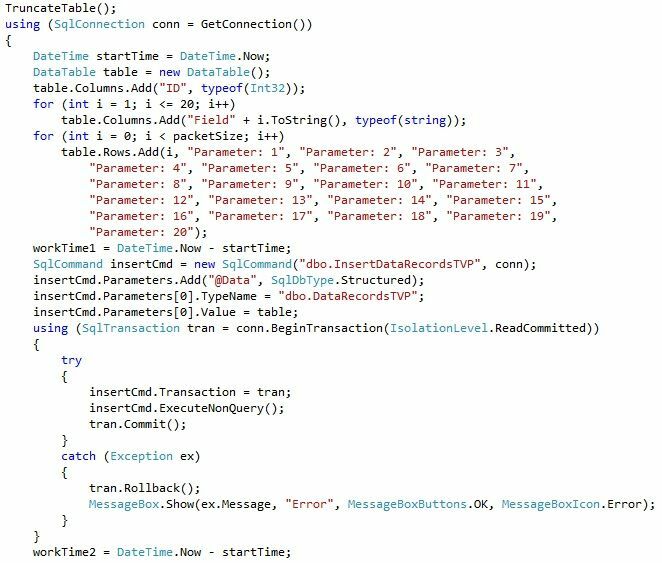 If we update our attribute-centric insert stored procedure and insert data to the temporary table variable first, it would increase execution time for 200-300 milliseconds (for 5000 records) although transaction duration would be just 30-40 milliseconds. I’m not posting the code here but it’s available for download. 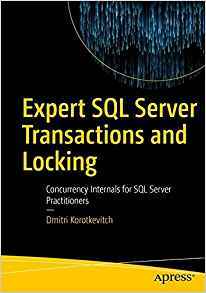 This entry was posted in Client Development, T-SQL on August 8, 2010 by Dmitri Korotkevitch. My presentations are available for download. This entry was posted in General on August 2, 2010 by Dmitri Korotkevitch.